Onit is expanding the software development team as we are building new product lines. This is an exciting time at Onit and this new team will be responsible for building out new product that will be sold to F500 clients. The role will look to prototype new market solutions and partner with Product Management. The new team will also be setting the standard for microservices standards for AWS at Onit. Participate in design reviews and provide input to the design recommendations; incorporate security requirements into design; and provide input to information/data flow and understand and comply with architectural standards in all phases. 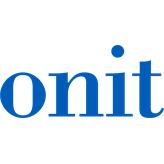 Onit is a global leader of enterprise workflow solutions for legal, compliance, sales, IT, HR and finance departments. Our solutions transform best practices into smarter workflows, better processes and operational efficiencies. With a focus on enterprise legal management, matter management, spend management, contract management and legal holds, we operate globally and help transform the way Fortune 500 companies and billion dollar legal departments bridge the gap between systems of record and systems of engagement. We help customers find gains in efficiency, reduce costs and automate transactions faster. As Onit continues to drive transformation in the legal space and beyond, it has continually been recognized by various software and legal industry organizations for its innovation, thought leadership and entrepreneurship. Onit made the Inc. 5000 list of fastest-growing private companies for the past several years. In addition, Onit’s CEO Eric M. Elfman, a past winner of the EY Entrepreneur of the Year®, was once again a finalist for the award in 2018. In addition, Onit’s CFO York Richards was named a finalist for CFO of the Year by the Houston Business Journal. Below are some of the additional awards the company has won. Senior Java Developer at Onit, Inc.